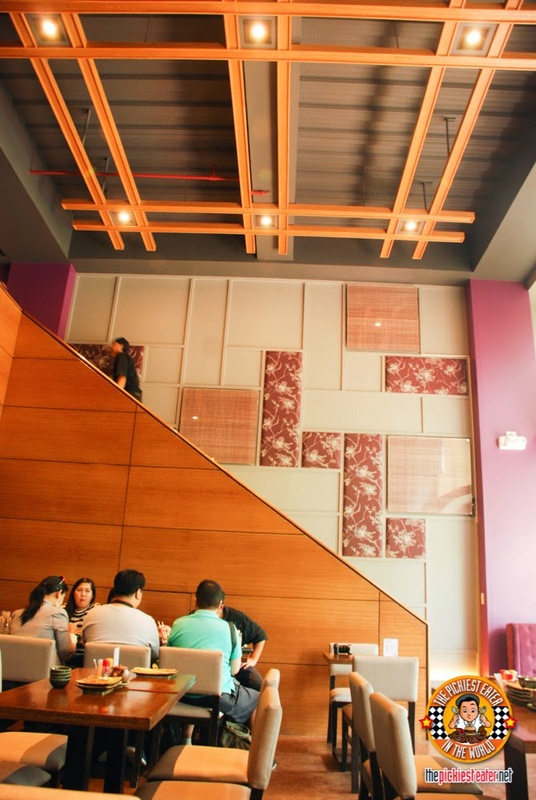 The place may seem small from the entrance inside Commerce Center building... but when you enter..
You are met with a high ceiling dining area that even has more seats in its second floor. 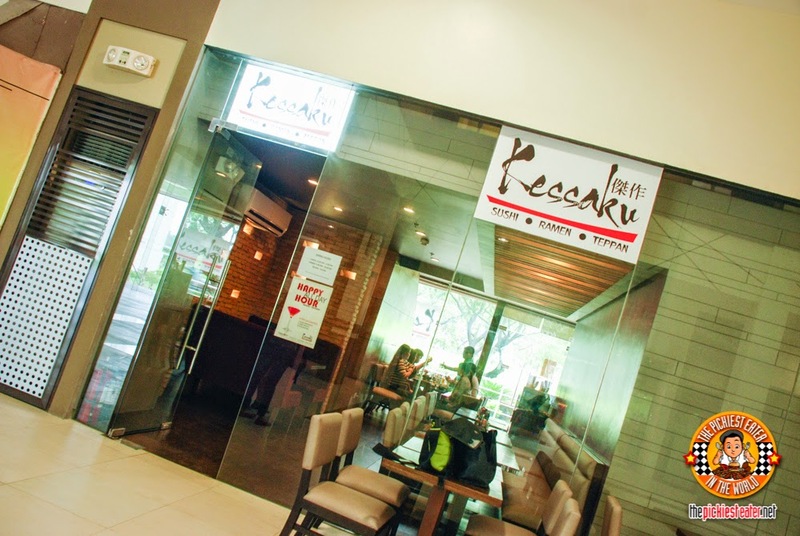 Kessaku actually has the same owner as Yumi Japanese Restaurant which we recently reviewed here. 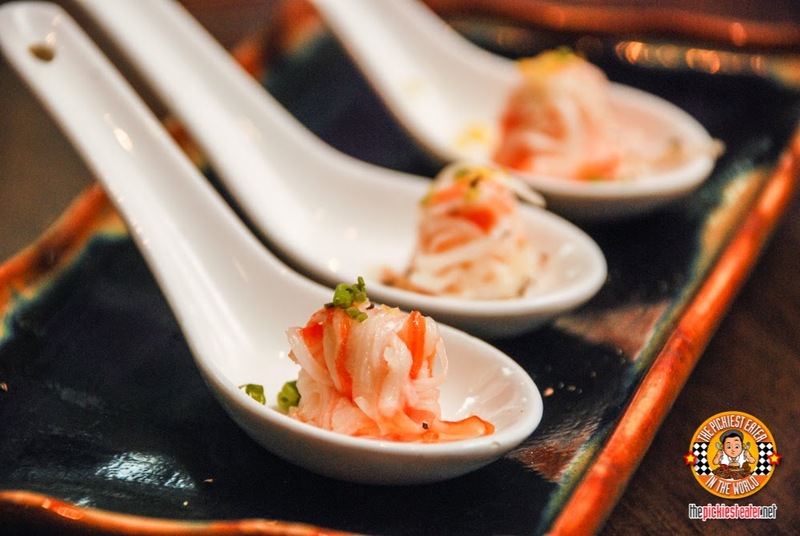 So there are some items that are similar such as the complimentary Kani Salad Amuse Bouche. They also have the Uni Sushi which is one of the best sellers as well at Yumi. It's cool because at least people from the South don't need to travel all the way to San Juan for Yumi, the same way that people from Manila don't need to travel all the way to Alabang for Kessaku. 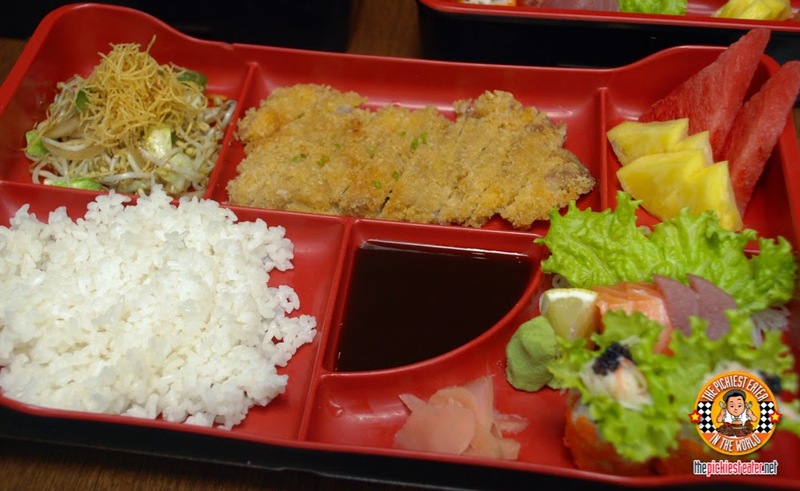 Moving on to their lunch specials, the bento boxes! 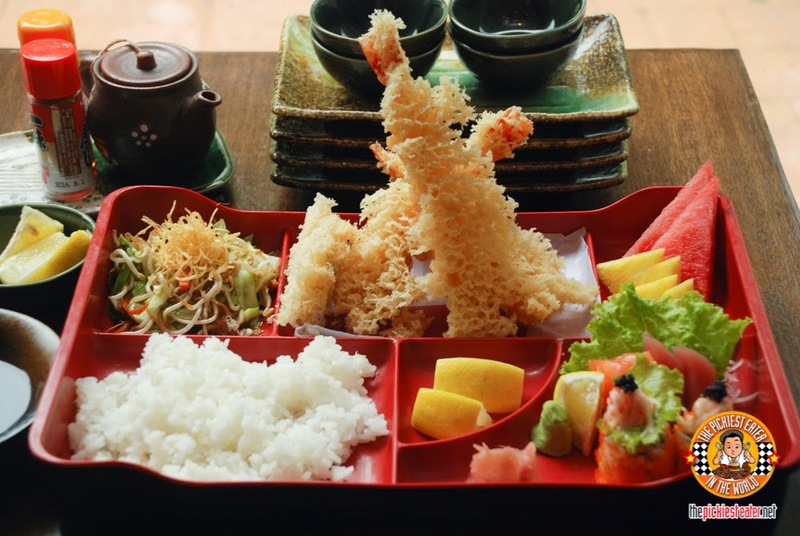 Their bento boxes includes a your choice of Entree, a bit of Sushi, some California Maki, Buttered Vegetables, and Fresh Fruits. Size-wise, that's a lot compared to other Bento Boxes I've tried so far! 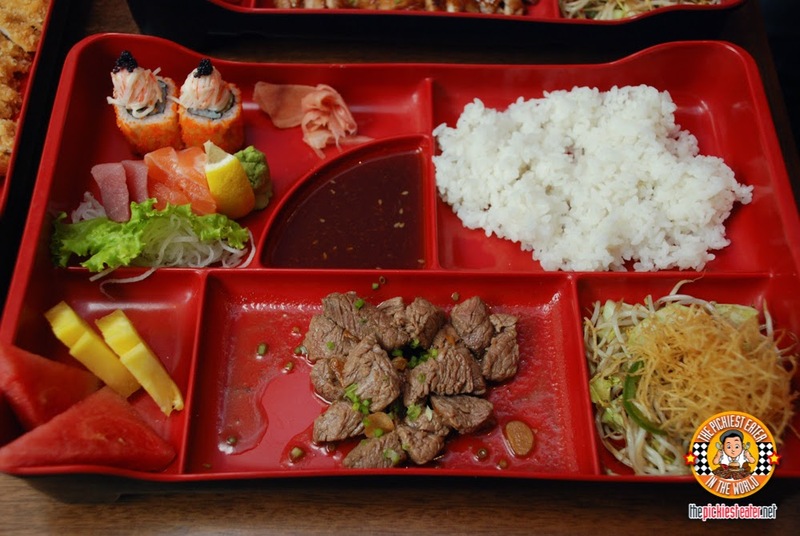 The price of the bento boxes might be a bit on the steeper side, you can be rest assured that your tummy will be full in no-time what with all the included items on the bento. (Again of course depending on your tummy capacity.. Richie might need 2 bento boxes hehehe). But of course don't forget to save space for dessert! And with desserts like these, you'll definitely HAVE TO make room! 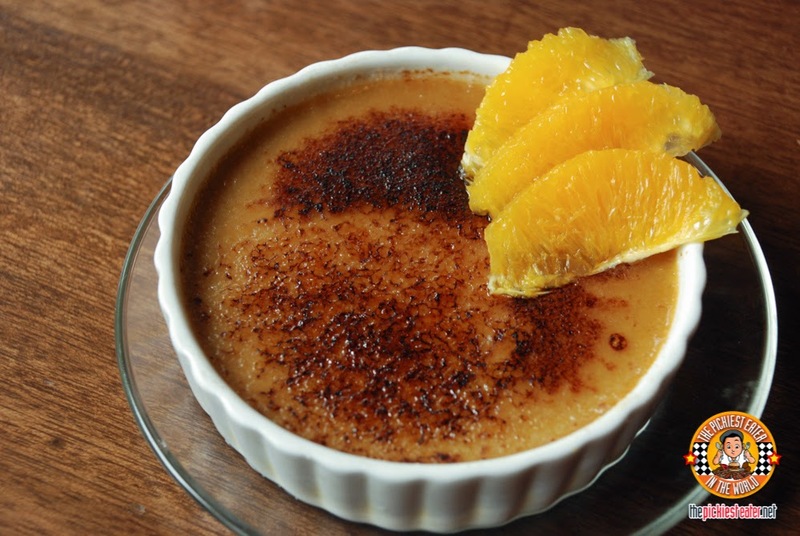 The Vanilla Cream Creme Brulee (P120) is light, with majority of the sweetness coming from the crunchy burnt sugar glaze on top. The bottom however is very light and smooth. 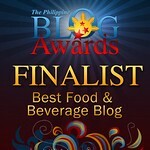 The Crispy Banana with Mango Ice Cream (P155) is also very good. It's actually like turon ala mode. Need I say more? The Green Tea Tempura Ice Cream (P165) I think was the one that really stood out. 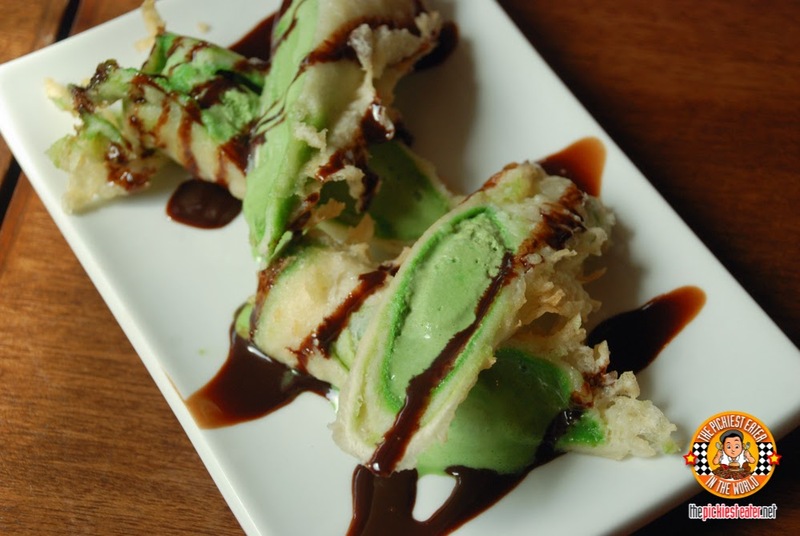 I like Green Tea, I like Tempura, and I like ice cream. So really, what's not to love? The tempura breading really adds an exciting crunch! 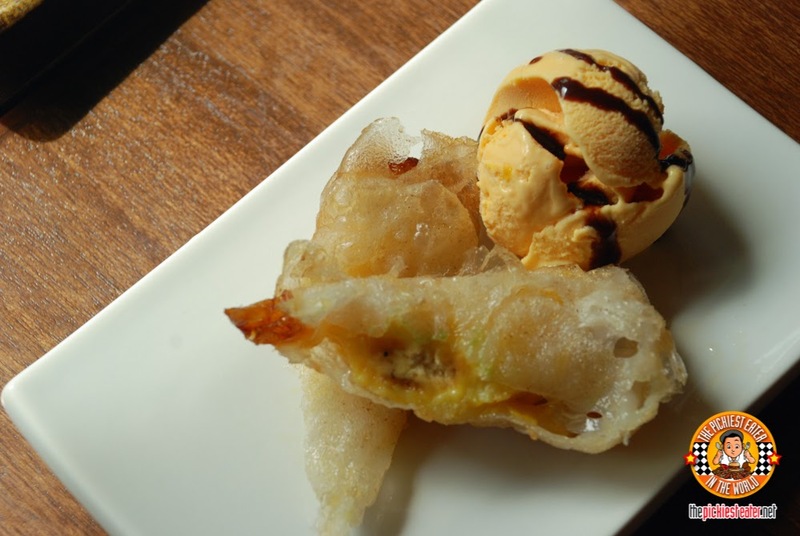 It;s sort of like deep-fried ice cream! *droooool*. 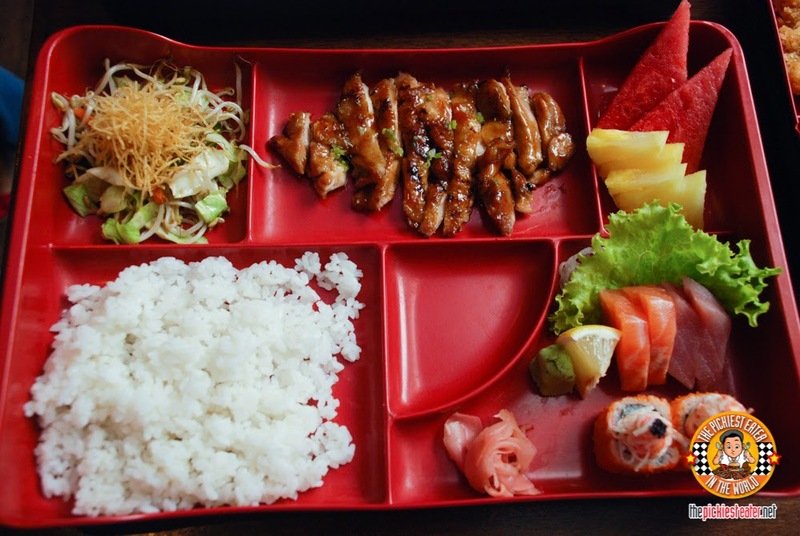 These bento boxes are only available for lunch. 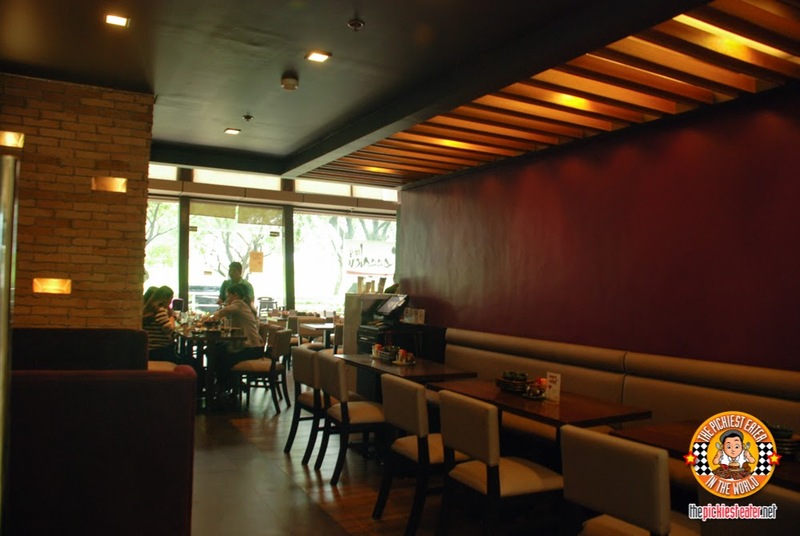 So this is perfect for employees who want a heave Japanese meal for their lunch breaks. I can also imagine it as a good place to hold team meetings or team celebrations. And of course a place to take your family on weekends!